For thousands of years, people have walked the land with questions in their hearts. They listened and opened to what we could call their intuitive wisdom. This walk will offer you a chance to learn how to access this intuitive or bodily knowing. Most of our lives are driven by our intellect and "strategic" mind, but what does your body know about your life? Through reflective practices based on "Focusing" and mindfulness we will open up new doorways to our intuition. We will find new answers to old issues, we will find ways to listen afresh to ourselves, each other and the natural world. We will send time alone, in pairs and as a community. WHAT DOES THE DAY HOLD IN STORE? When was the last time you had a whole day to roam wild and free? Nowhere to be, no one to meet, no plan, no sense of time, no set pace, no map, no destination. A whole day when you could let go of absolutely everything and simply follow your energy and curiosity? 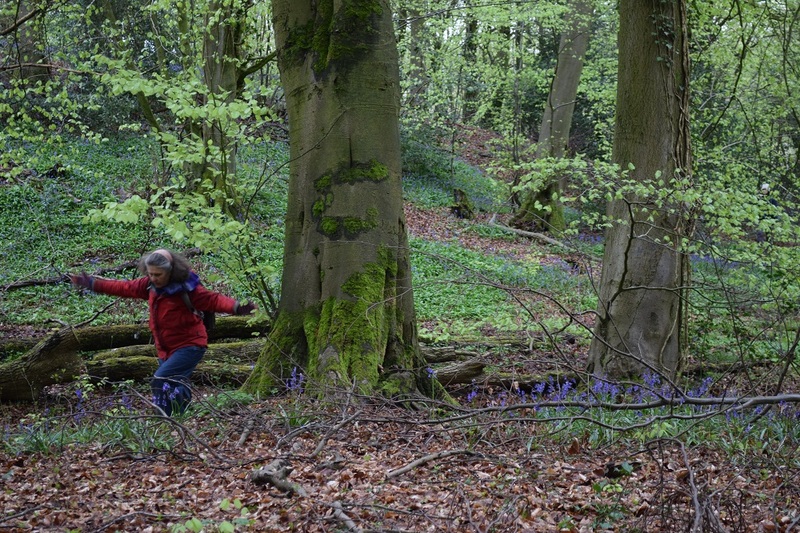 We meet at 9 am in the morning (in a secret location less that 10 mins drive from Stroud) and begin to roam through wild bluebells and ancient beech forests, free to explore the land and our inner landscape with ease and curiosity. The day will be infused with a range of practices that help us meet ourselves, each other and nature with intimacy, open up to the majestic and give ourselves over to the moment completely - both within and without. We will go at a slow pace and cover around 5 miles. It is not a trek but a meander through our rich and myriad experience. Peter has been teaching Focusing since 2005 and is fully qualified with the British Focusing Association (BFA) and the Focusing Institute in New York, teaching individuals, groups and also mentoring others to teach. He is also a qualified Somatic Experiencing practitioner (an embodied approach to healing trauma). He is passionate about sharing accessible and embodied skills that lead to well being, fulfilment and transformation. Previous to this training, Peter spent 12 years practising and teaching awareness and meditation skills to groups and individuals in a Buddhist context. More recently he completed a foundation course at Schumacher College (Devon) in Environmental education. Andy is a coach, speaker and outdoor facilitator. He hosts nature awareness, leadership, sustainability and mindfulness retreats and workshops, to bring about transformative change. 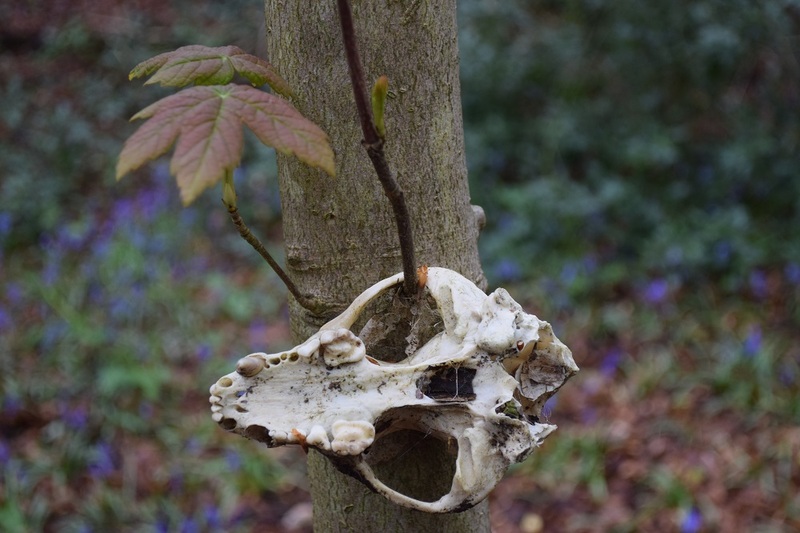 He has trained extensively in these areas with Cambridge University, Schumacher College, The Living Leader Programme and Sussex Wildlife Trust. He works with professionals, businesses, charities, colleges, private clients and children. He also offers his skills internationally, and in 2017 ran a 2 month programme with indigenous communities in Namibia and a 2 week retreat for a "nomadic classroom" in the wilds of Sweden. Previously, he was Executive Director of the Aldersgate Group, working with CEOs, Government Ministers and thought leaders to drive action for a more sustainable world.